On a recent fishing trip I caught a fish that I could not identify. I took a picture of it and then started to search the Internet in the hope I would find an image resembling the one of the fish I caught. No such luck. Finally I posted the picture on one of the popular BC fishing forums and bingo I got an answer from one of the members. 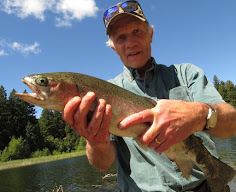 There seems to be a lack of game fish identification in British Columbia, even the fishing regulations only show images of the most popular game fish and the protected fish. To assist novice and visiting sportfishers to British Columbia I decided to remedy this, in my opinion, serious lack of information. Over the next few weeks and months I will post BC fish profiles in text and image, so that in the future fishers do not have to go to the length I had to go to find out what fish it is they had on the hook. The new category will be called “BC Fish Profiles”. Given the large variety of fresh and saltwater species we have in this province this new category will become an ongoing project. 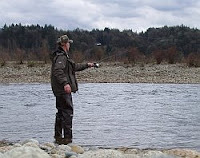 BC Fishing Blog welcomes submissions of text and images from BC fishers to assist in the completion of what hopefully in due time will be come the single largest fish profile source in British Columbia.